Composed by three 52 minutes documentaries, this collection brought together filmmakers from 3 different countries: Donato Rotunno (Luxembourg), Rüdiger Mörsdorf (Germany) and Stéphane Bubel (France), which have long worked together on all 3 films, discussing their respective films to overcome stereotypes that everyone can relate to the culture of others while asserting its own vision of things. Sound : Christian Lamalle, François Martig, Philippe Kohn, Alain Sironval. Editing : Jean-Luc Simon, Biedinger Ute, Catherine Baudo Mamecier. Produced by Tarantula, Ere Production, le CNA & le Film Fund Luxembourg. 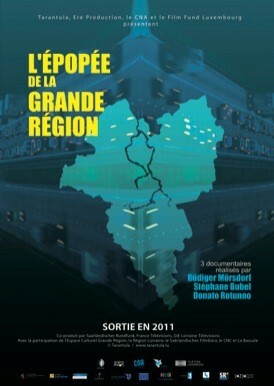 With the support of Espace Culturel Grande Région, Région Lorraine, Saarländisches Filmbüro, CNC & La Bascule.